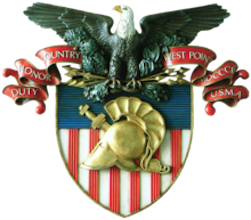 West Point has a fine and storied tradition: President Thomas Jefferson signed legislation establishing the military academy in 1802. They also espouse strong convictions regarding the federal government, believing it to be corrupt and tyrannical, with a natural tendency to intrude on individuals’ civil and constitutional rights. Excuse me? With all we know of terrorism in the world–with the dramatic rise of antisemitism and radical Islamo-fascism, and the proliferation of hate-infused madrassas–Dr. Perliger’s thesis misdirects blame to “far-right” Christians and Jews? Additionally, he mis-appropriates the term “Christian Identity Group” to the heinous Aryan Nations. The far right represents a more extreme version of conservatism, as its political vision is usually justified by the aspiration to restore or preserve values and practices that are part of the idealized historical heritage of the nation or ethnic community. Dr. Perliger paints those who wish to “restore or preserve values and practices” of our national heritage (could he possibly mean The Constitution?) as extreme and violent. But it gets better. Next the good doctor gets into the real red meat–those “pro-life extremists”! Can he seriously be judging Dr. C. Everett Koop and Dr. Francis Schaeffer to be “far-right” extremists? Dr. Koop was one of our nation’s most highly regarded pro-life and pioneering surgeons, who accrued medical fame performing successful separation of conjoined twins on several occasions. Dr. Francis Schaeffer was one of America’s most highly esteemed Christian thinkers whose teaching of Apologetics will long endure. Both men were gracious and intelligent; both wholeheartedly pro-life. Dr. Perliger’s study is 147 hard-to-fathom pages, chock-full of socialist and subversive analysis: read it and be horrified that such a work can be attributed to an “expert” embedded in West Point’s Counter Terrorism Center. Individuals enlisting in the U.S. Armed Forces must swear an oath to “support and defend the Constitution of the United States against all enemies, foreign and domestic.” But what happens when the only crime perpetrated by the “enemy” is supporting and defending the Constitution? Thomas Jefferson would be appalled and infuriated that the very institution he signed into being houses a so-called expert touting anti-liberty, anti-Christian, anti-founding document rubbish. Jefferson would agree with Bill Wilson: Dr. Perlinger should be immediately fired and his study should be deleted from digital memory and placed in the dung-heap of erased cyber directories. Read more articles by Kevin Jackson.